The past few weeks we have been working on money. 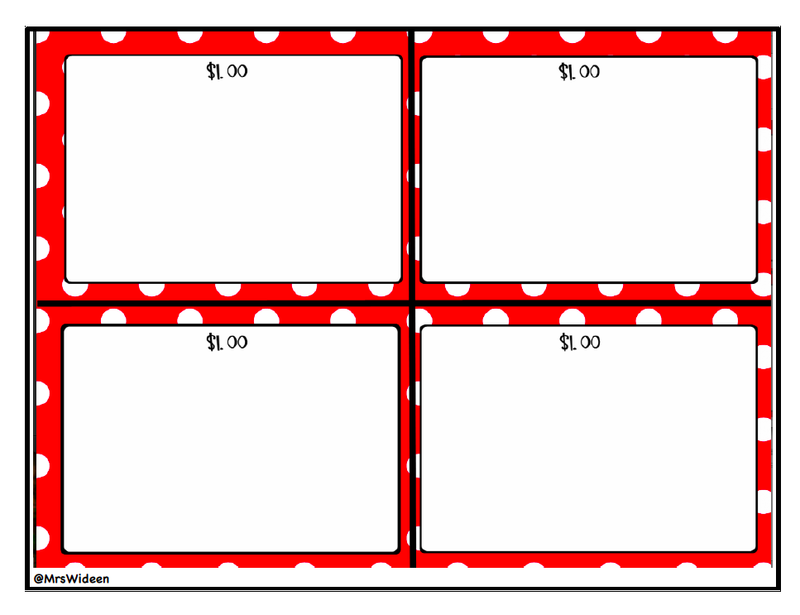 My second graders are expected to be able to estimate and count money amounts to one dollar. Funny that our math program only has one lesson covering money. As my good friend Erin Mastin says, it was time to "Wideen" it and go off course and do my own thing. Get your kids moving with Frozen People Coin Tag! 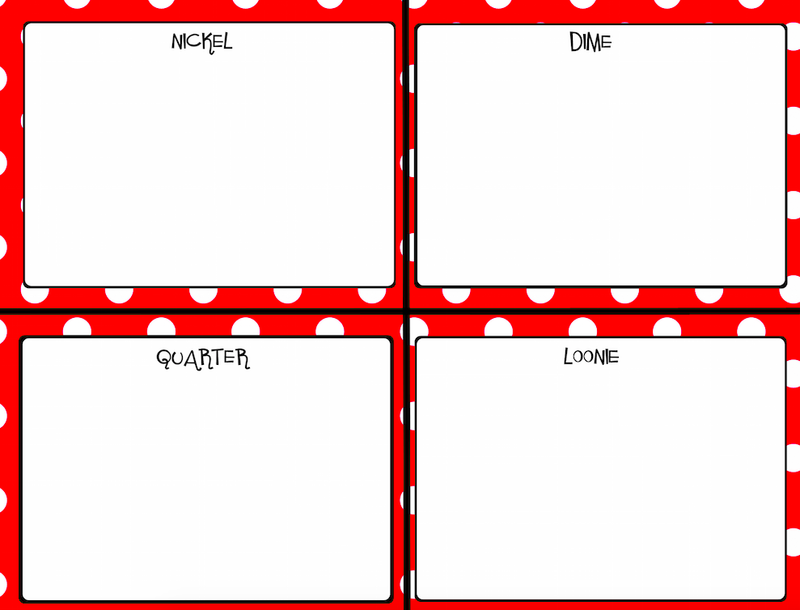 Label your students with a coin amount, either 1,5,10 or 25 cents. Have children run around the playing area. Yell out an amount of money. Children work together to find the total value represented by the coin labels on their bodies. 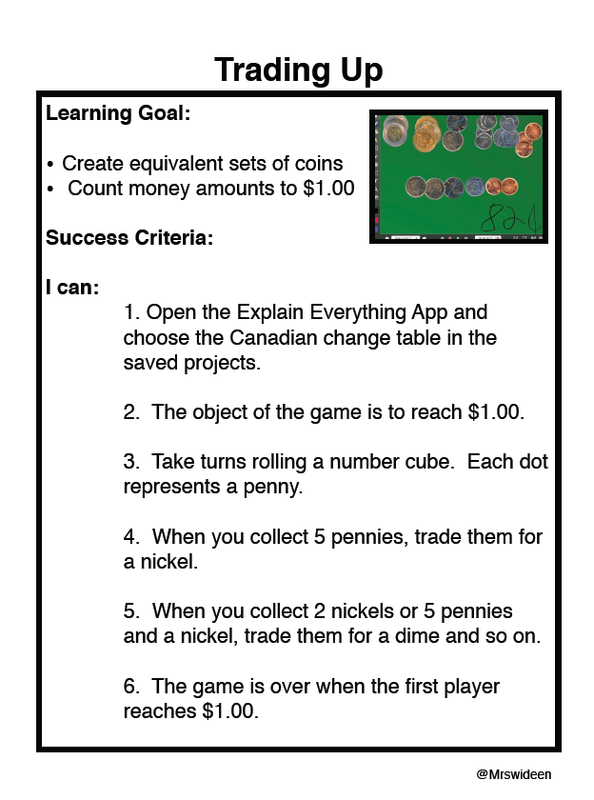 I have shared the following activity before, but I needed to differentiate the activity for some of my students so instead of everyone showing me a dollar 4 different ways, I had some students sorting coins, and others were showing smaller amounts different ways. Students would then use Draw and Tell or today they used Explain Everything to take a picture and record their thinking. 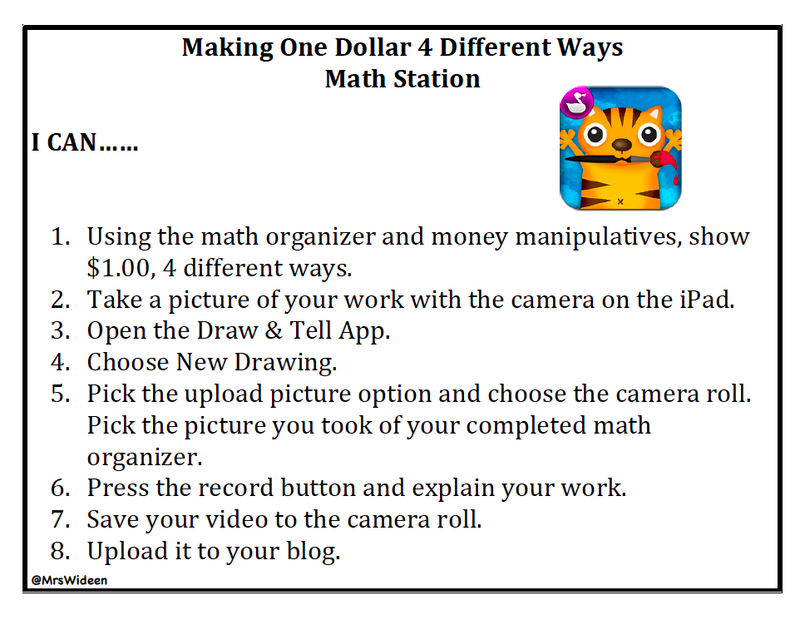 All the following activities are available on my website, just click the tab that says iPad Stations, then choose the math option. As you know, Explain Everything is one of my favourite apps and you will love what I am going to show you next. I came across a file that was created to use with Explain Everything. This file was created by Tim Pelton. He made a project that I saved to my dropbox (dropbox is on all of my class iPads) Students go to dropbox, choose the file and choose to open it in Explain Everything. Presto! 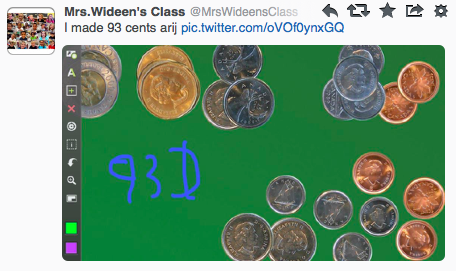 You have a screen with movable coins that students can use to show their learning. Here is the link for the file. I would call out an amount and they would make it on their screens then tweet it. They would show a certain amount different ways on different screens. I also created another activity called Trading Up! Believe it or not, all of the above actives were going on at the same time in my room, except for tag of course. The students were engaged, busy and excited to do the activities and it gave me some time to work with a group that needed extra help.